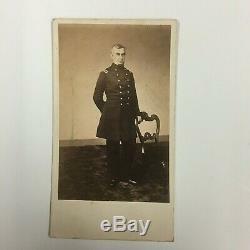 This lot features a very clean image of Major Robert Anderson of Fort Sumter fame. The back mark on this CDV is quite uncommon. Thanks for looking and best of luck! 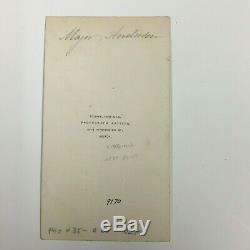 The item "Major Robert Anderson CDV Union Hero of the Battle of Fort Sumter Civil War" is in sale since Thursday, April 4, 2019. This item is in the category "Collectibles\Militaria\Civil War (1861-65)\Original Period Items\Photographs".